The recent trend in home decoration is the statement ceilings. It is really powerful and versatile effort to improve the interior schemes, thus no surprise that people are trying to create their own concept. For you who just heard about this, here we are with some tricks and inspirations to make you consider them in your home. Creating statement ceilings is not as easy as painting the wall or selecting the wallpaper for your room. It needs wild imagination which need some bravery since its risks for failure can ruin the interior concept that you have before. However, the risk is worth to take as there are so many amazing homes which have been successful in making statement ceilings. 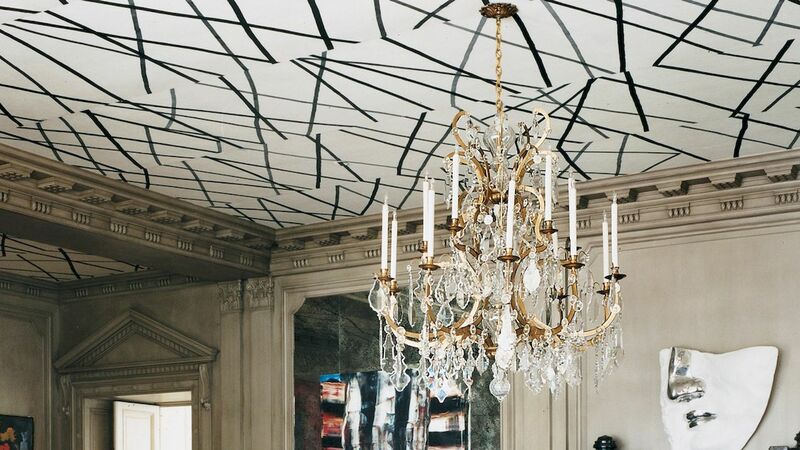 There are some techniques or tips in making this artsy ceiling which are by painting, using wallpaper and by murals. They really depend on the budget and how far you want to go. If you want to the maximum artistic results, commissioning a mural artist may be worth the cost. By Paint – The concept of statement ceiling is to make a strong focal side of your room which can be done with high contras painting or texture. The cheapest and fastest effort as we suggest is by painting the ceiling with high contrast tone. For a home which have bright wall tone, there will be wider range of colors which can be applied to make the ceiling. Yet, if you are worried for the room to become darker, you can still stick on lighter shades. Doing it by yourself will need careful and extra effort since the object is horizontally facing the ground. Just make a necessary preparation like covering the objects below properly. By wallpaper – If you have enough planning including the budget, considering to use wallpaper to make the statement ceiling will be more practical. You can always choose your designs without fearing of the final look. The wallpaper for statement ceiling is also considered more artful, elegant and also romantic rather than the painting. However, these will depend on your consideration, calculation and also preferences.